Geotripper: Giant Alien Space Bear about to Destroy the Earth? Or the Impending Opening of a Great Museum? Giant Alien Space Bear about to Destroy the Earth? Or the Impending Opening of a Great Museum? 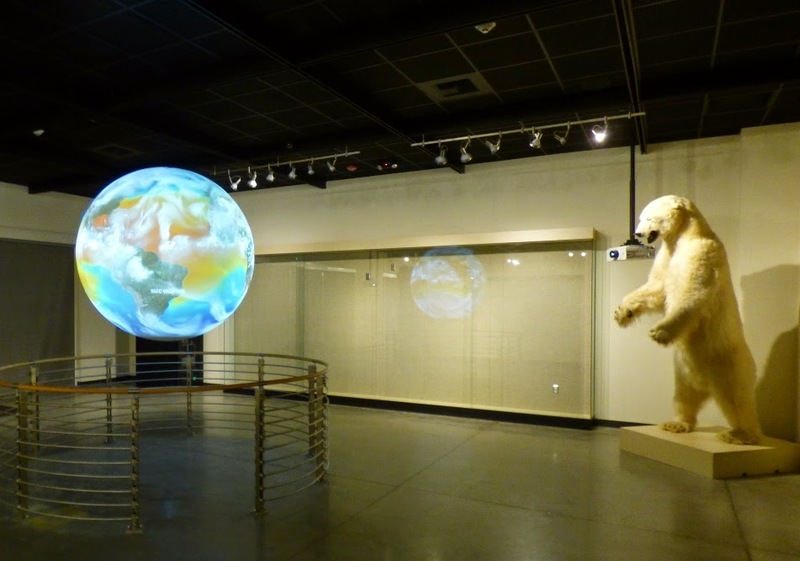 What you are actually seeing here is the Science on a Sphere learning area in the soon-to-open Great Valley Museum, and one of the very few blank walls left in the wonderful new center of learning that will serve the northern San Joaquin Valley and the town of Modesto. 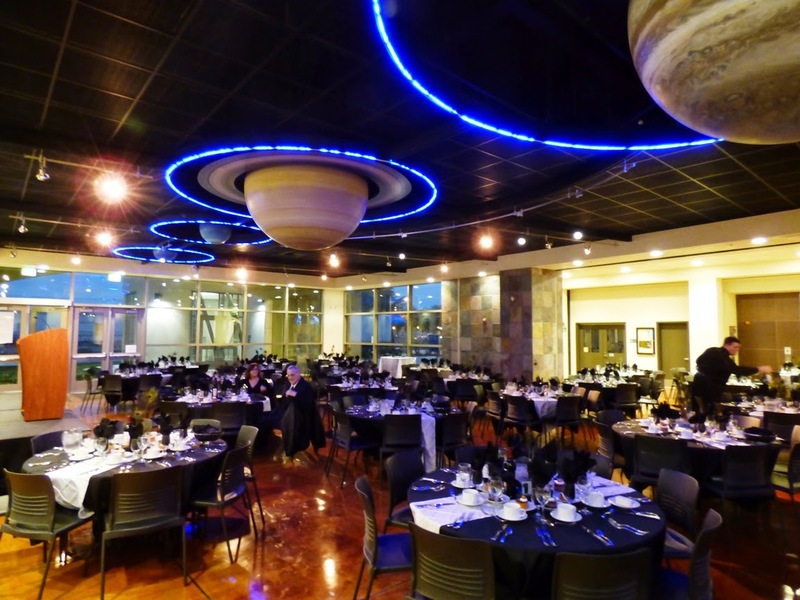 The new facility was introduced to the community for the first time last night at the "Night at the Museum- the Inaugural Gala" that brought out 240 supporters to a formal dinner and tours of the museum. 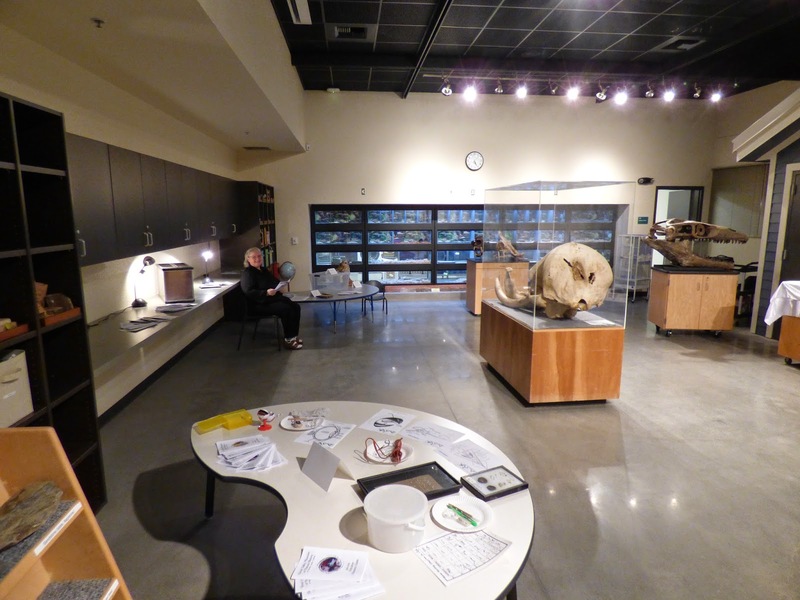 The Great Valley Museum has existed since the late 1970s, occupying an old house that originally served as the Modesto Junior College campus bookstore. The employees and volunteers did a wonderful job of bringing science education to the children of the local community, but they were always hampered by very limited facilities. 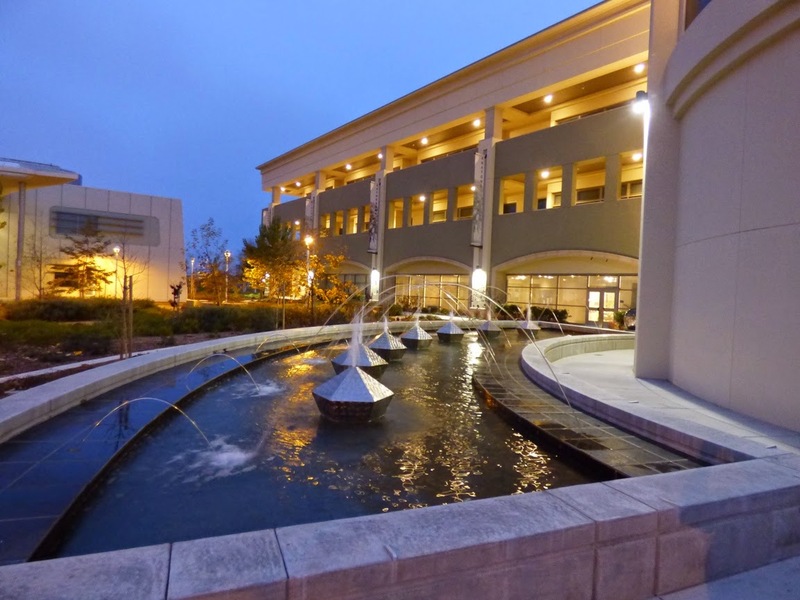 There has always been a dream of a larger building, but it wasn't until our community passed Measure E in 2004 that the dream could begin to be a reality. The new Science Community Center houses the MJC Science Division with chemistry, biology, astronomy, physics and geology laboratories and classrooms upstairs. Most of the bottom floor of the huge building is now devoted to the museum. The impending opening is a thrilling moment for those of us who have planned and at times fought for a world-class facility to be housed on our campus. Mrs. Geotripper and I had a marvelous time last night welcoming guests to the Discovery Room, the hands-on area of the museum, which also includes the live animal room. This is the "classroom" for the museum, which will be filled with an array of demonstration materials, books and science based puzzles. 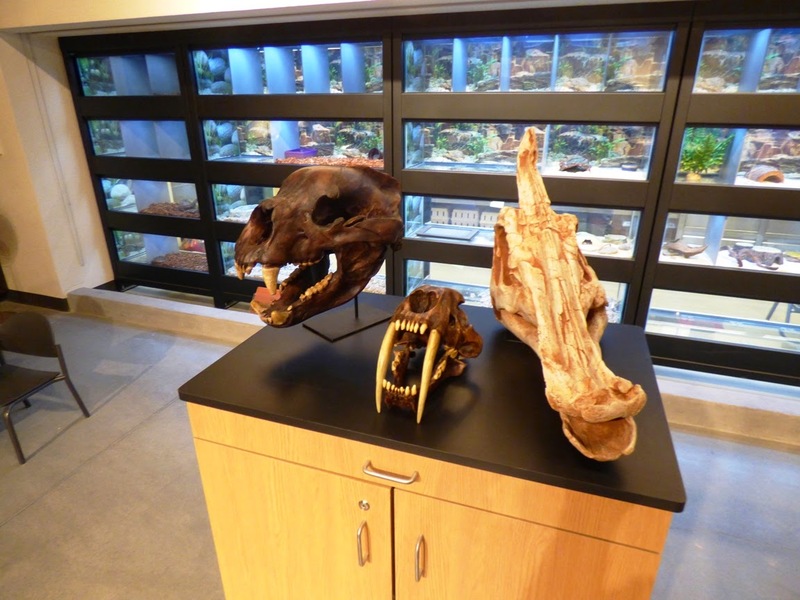 We set out some of the skulls from the museum and school collections, to illustrate some exciting new discoveries that our children and students will be able to make: that our region has an incredible paleontological heritage. The first dinosaur ever discovered in California was found in our county by a 17 year old high school student in 1936. The same young man found a new species of Mosasaur just a year or so later. 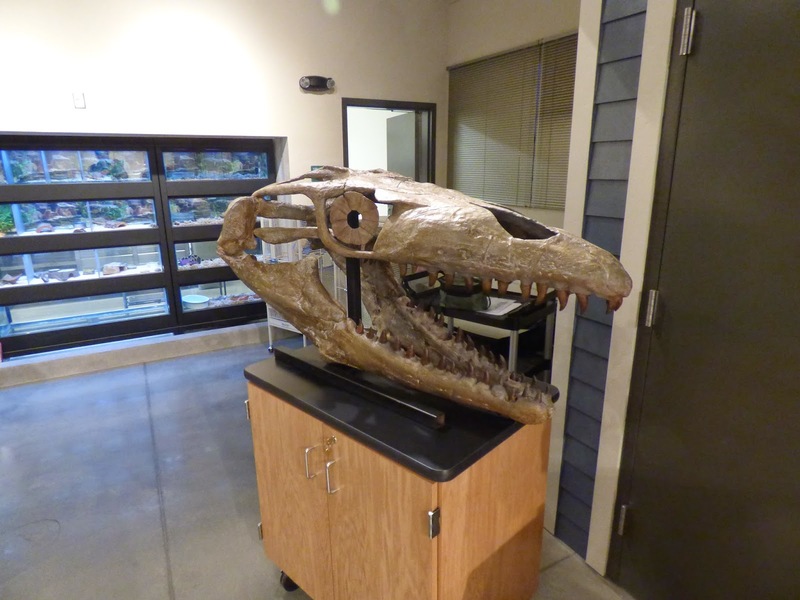 The skull below is a related species of the gigantic sea-going reptiles that terrorized the late Cretaceous seas. The local species ranged up to 35 feet long. In the late Pleistocene, the savanna grasslands of our Great Valley supported an extensive ecosystem of grazing animals including horses, camels, antelope, bison, elk, and sloths. They were preyed upon by some terrifying creatures like the American Lion, the Dire Wolf, Sabertooth Cat, Grizzly Bear, and Short-faced Bears (bigger than grizzlies!). Fossils of these creatures have been found in and near our county, but to date few people are aware of this. The opening of the museum will be a big step towards filling in this missing part of our history. 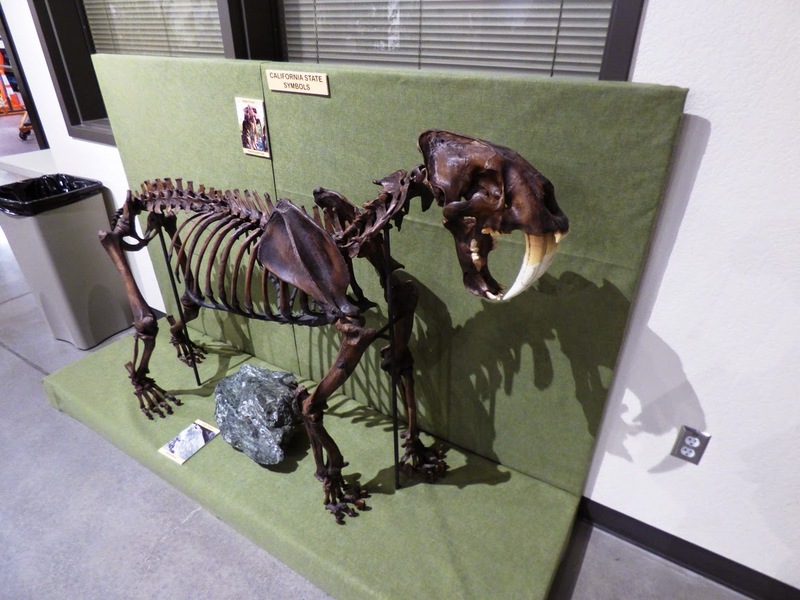 It was through the efforts of our Geology Club and the late Sandy Vanwey (our division's administrative assistant and strong museum supporter) that we were able to purchase a full-scale replica skeleton of a Sabertooth Cat that will grace the entrance hallway along with a number of other symbols for the state of California. 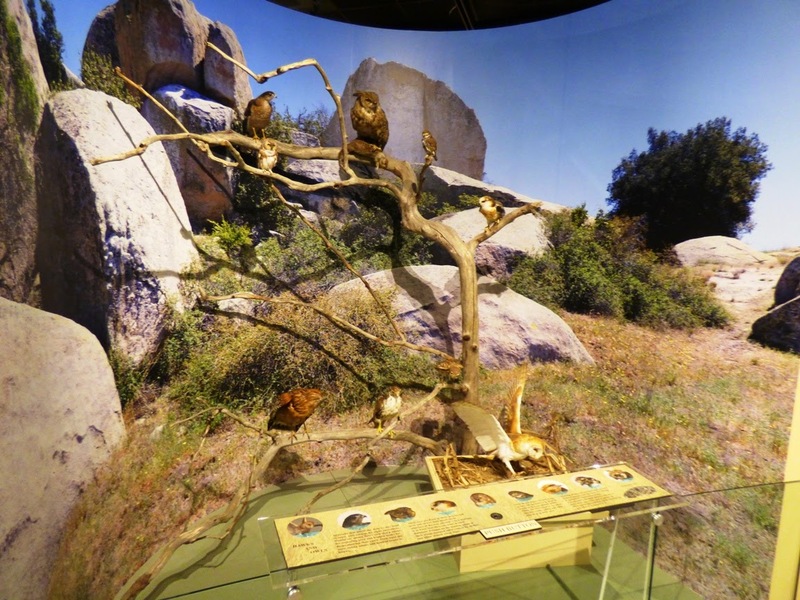 The most important part of the museum's mission is to tell the story of the natural environments of the Great Valley, which includes the northern Sacramento Valley, and the southern San Joaquin Valley. The valley is one of the richest agricultural regions on the planet, but it also still retains some of it's primeval character in a few places, and the museum is equipped as never before to tell that story. 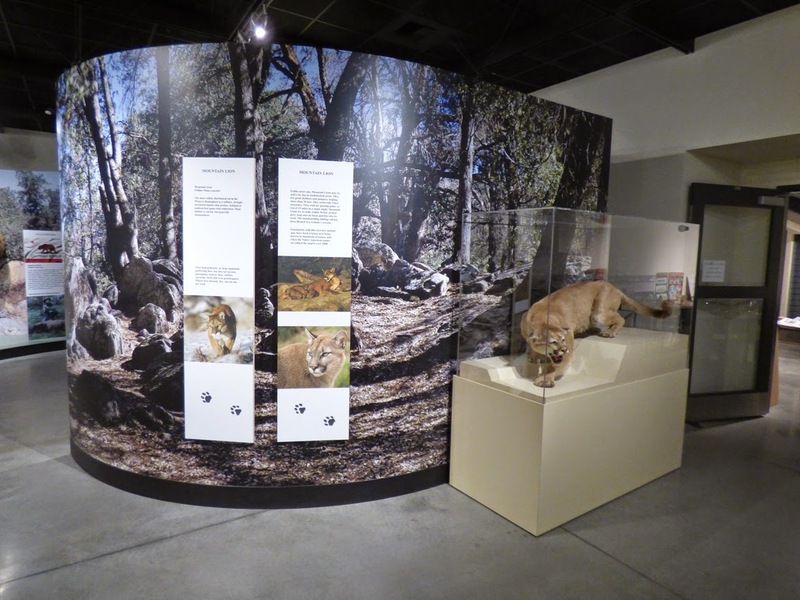 The museum finally has enough space to exhibit the extensive collection of preserved animals specimens in naturalistic settings. 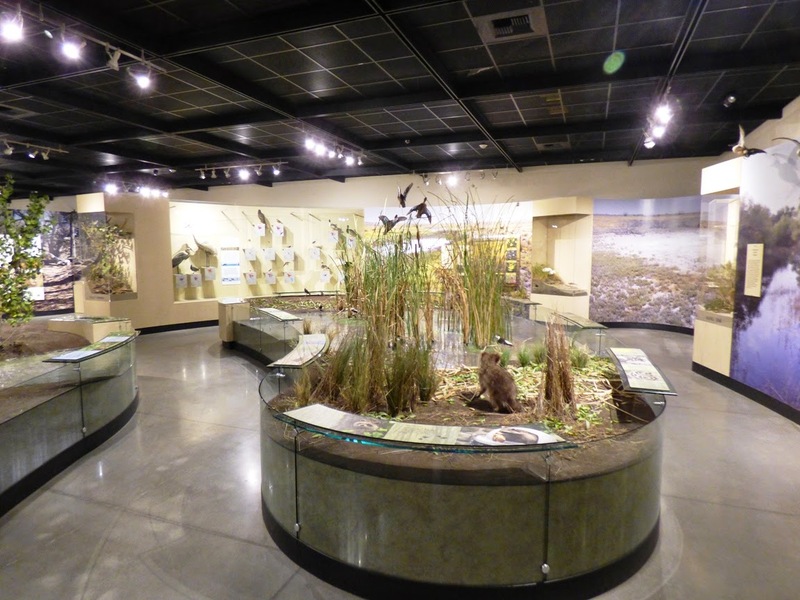 All of the native environments of the Great Valley and adjacent foothills are represented, including grassland/prairie species, riparian species, and the animals of the wetlands and marshes. There is only one major component of the museum left to build: the Outdoor Education Laboratory, which will be the ultimate part of the learning adventure for the children and students who visit the museum. 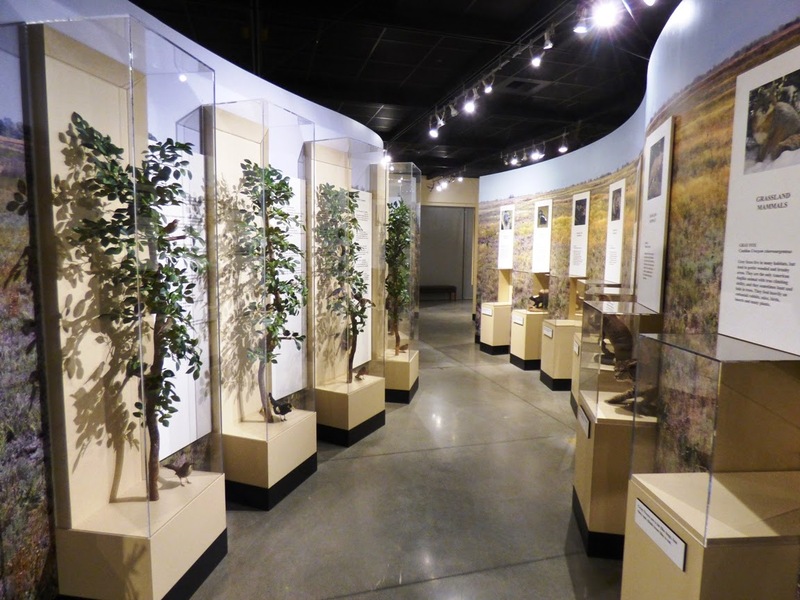 Imagine seeing the exhibits, and then being able to go outdoors to see many of the species living in a near-natural habitat. Plans call for a stream and pond along with vegetation representing the environments that exist from the mountains to the foothills and the valley floor. The funding for this last part is still pending, but it's been a dream for everyone who has been involved in planning this facility. Proposals for an outdoor lab area date back at least 35 years. It would be such a gift to the community and science education to have that last piece fall into place in the next year or two. In the meantime, 240 community members gathered together to support and celebrate the impending opening of the Great Valley Museum. Dozens of students and community volunteers were there to welcome them and to help out as servers and guides. It was the biggest event in the 40 year history of the museum, and it was a wonderful privilege to be involved. The museum still needs financial support to get new teaching supplies and resources that were not provided for in the original bond act. Please consider donating! For more information, check out the museum website here, and the museum facebook page here. 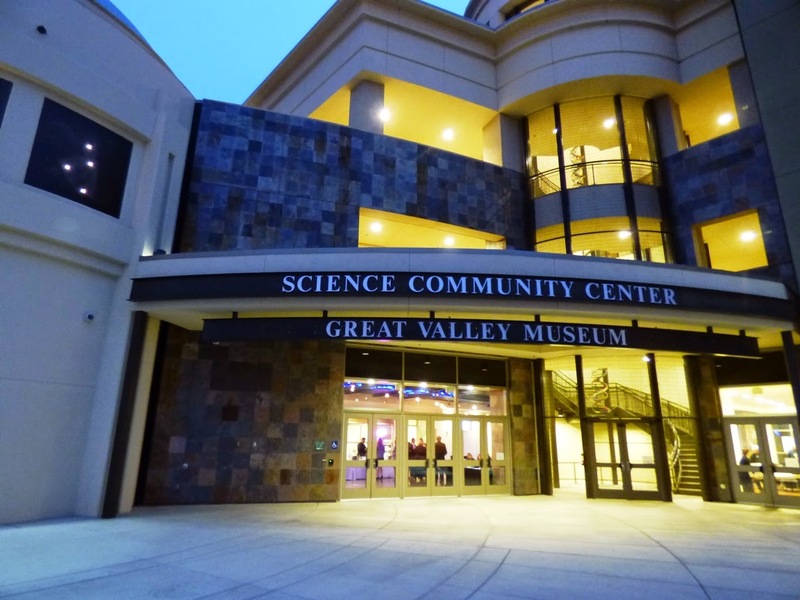 It's a great new day for science education on our valley, and it would be great if you could play a part! I am so grateful that so many came out to support the GVM. I must say it was quite a shock to see "the late" preceded Sandy's name. Laura and I had no idea she had passed away. It's been a rather gloomy day around here, but we've been sharing our good memories of her and thinking about what a legacy of hers the museum will be. The museum got built because she was the type of person to bring a tri-fold cardboard presentation poster board on a two week long field trip to the Pacific Northwest.